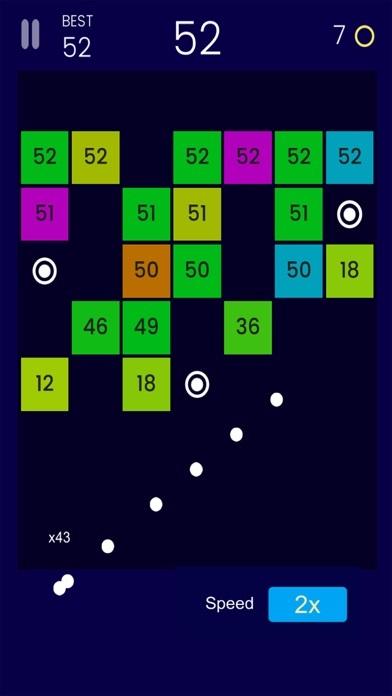 Boomerang Balls is the new Brick Breaker game with a twist! Boomerang Balls takes Arkanoid games to a new level! Check it out for yourself. 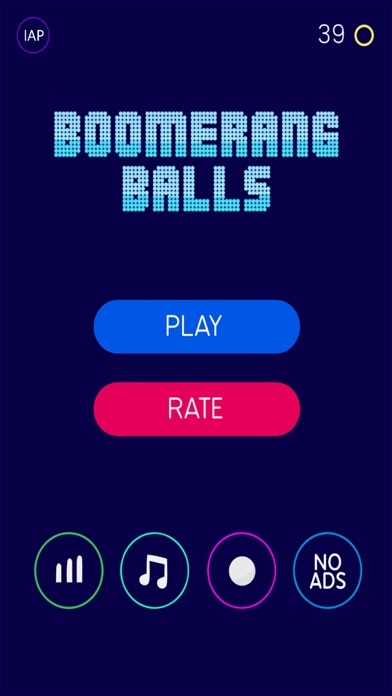 Swipe your finger down to shoot the balls and break as many bricks as you can. The key to perfection is getting the angles right. Can you clear the screen? 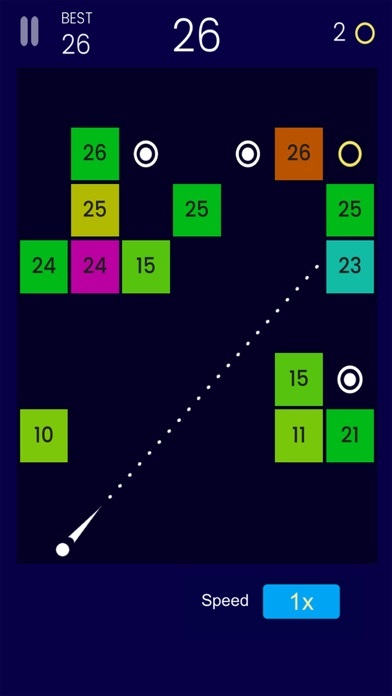 Your new Breakout Arkanoid addiction! Collect the golden rings to unlock new balls. 18 awesome balls to choose from. The more points you score the harder it will get. Once you reach 100 points the aim will disappear, you have been warned. Use the speed up button to speed up the balls. Break as many bricks as you can before they fall to the ground. Collect gold rings to unlock new balls. 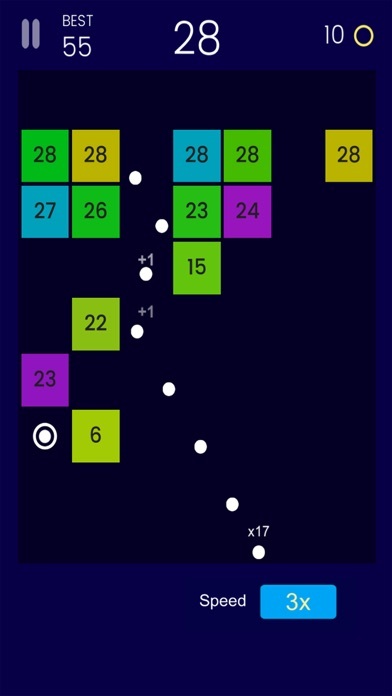 Challenge your friends and family to beat your score. Don’t miss out on the latest news: Like Dignity Games: http://facebook.com/dignitygames Follow us on Twitter: http://twitter.com/dignitygames Thank you for playing Boomerang Balls!